Natural remedies are gaining in popularity – just look at all of the treats with CBD oil for dogs. But, there are natural remedies available for everything from gassy dogs to cats with respiratory conditions. Even some pretty amazing pain relief products that often work better than popular pain medications (especially for cats). But before you start handing plants over to your pets to chew on, or add them to their food, it’s important to know what each remedy does and how you can talk to your veterinarian about it. Today we’re looking at ten natural remedies that you may not have heard of for pets. Statements regarding dietary supplements have not been evaluated by the FDA and are not intended to diagnose, treat, cure, or prevent any disease or health condition. We use affiliate links when possible, so we may receive a tiny (and I mean tiny) commission if you use them to purchase anything (but they don’t cost you a penny). Thank you for supporting our website (and our pets)! This plant is an incredible digestive supplement for pets and people. You can make your own (carefully) or you can check out Animal Apawthecary’s Phytomucil, which includes marshmallow root, licorice root, slippery elm and plantain leaf. 1.0 ml – 2.0 ml, 2 – 3 times daily. Don’t use more than recommended and be sure to adjust to your dog’s size. Ginger is good for many things, particularly when it comes to the stomach. Combine it with a tsp of turmeric and a cup of water to use as an aid for joint pain. If you see your dog producing soft stools (or if he seems a tad constipated), a bit of pumpkin will help relieve the condition. This is due to pumpkin being a rich source of fiber, and filled with vitamins and minerals. 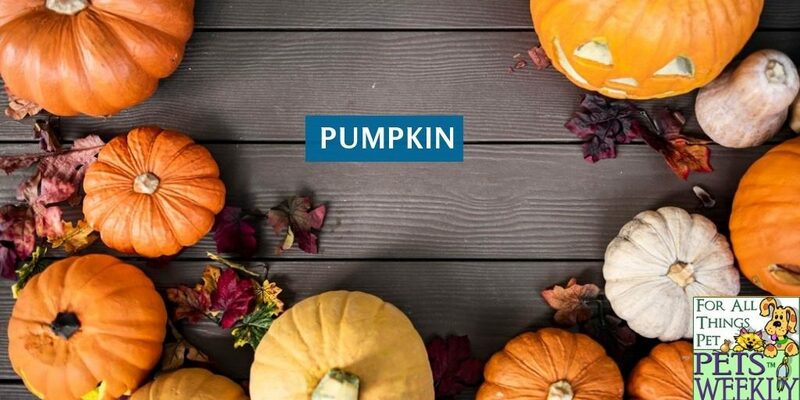 We’ve also heard reports that pumpkin can help improve urinary and digestive health, so for pets prone to urinary tract infections or conditions, it’s worth learning more about this gourd. You’ll find pumpkin in several cat foods for that reason. One reason we like it is that it’s a great way to help dogs and cats feel full without giving them extra food. This makes pumpkin a great weight loss aid. 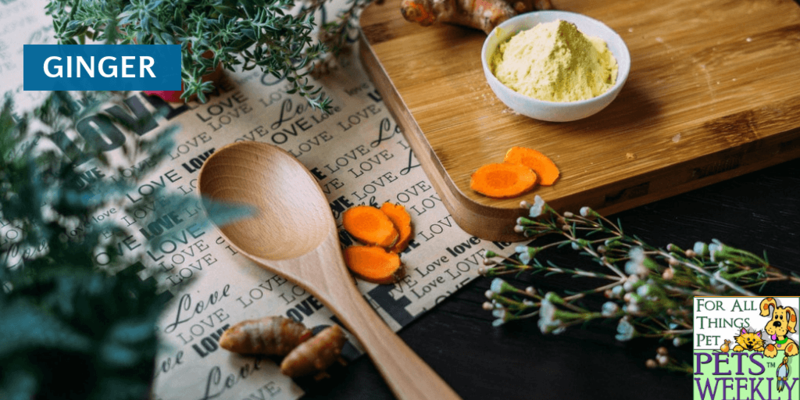 If you haven’t heard of the spice turmeric, you may not realize what you’re missing out on. 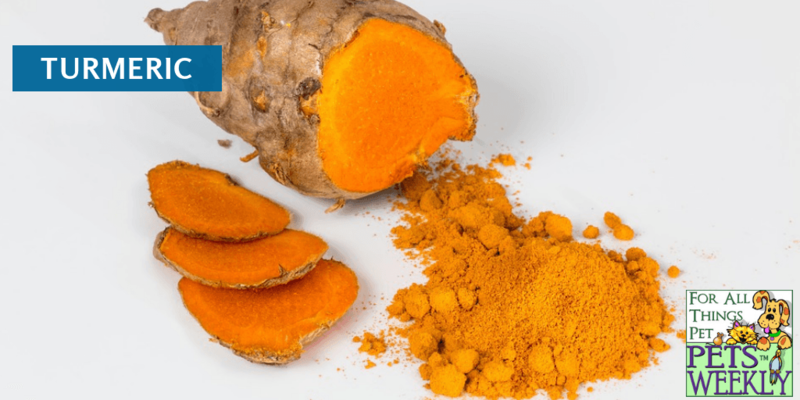 The active compound in Turmeric is curcurmin. This powerful anti-inflammatory can help reduce joint and arthritis pain and is even more incredible when combined with CBD oil for dogs. Turmeric is also a fantastic way to help relieve your pets through digestive problems and studies now suggest that it may even help fight cancer by reducing free radicals. Did you know there is a pet treat that is already made with these ingredients? Check out these treats on Amazon. 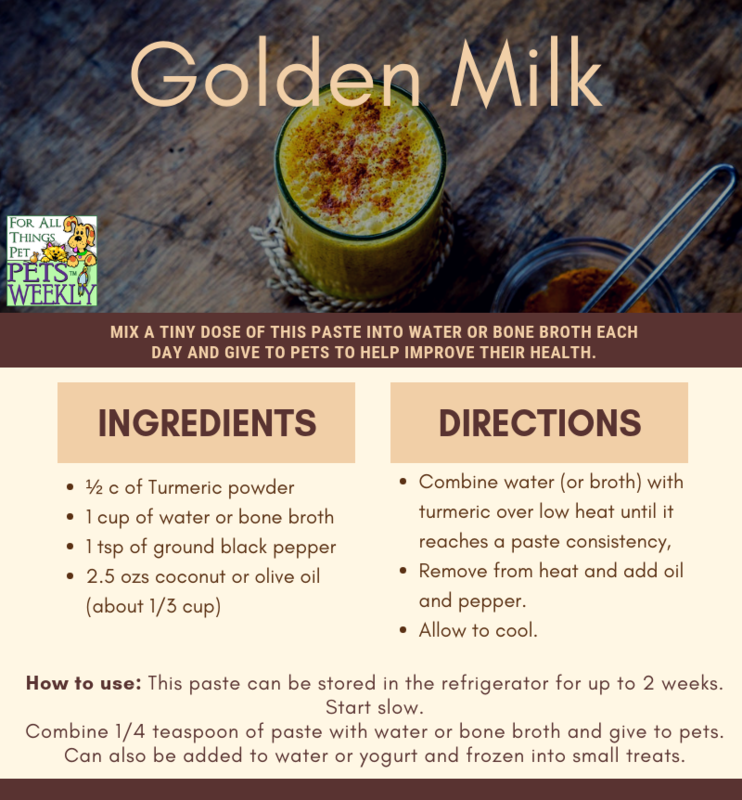 If you want to make your own supplement, try making this simple Golden Milk. This is a concentrated version for giving to pets a little at a time. The mixture will last about 2 weeks in the refrigerator. You can give some to your pets each day mixed into a bit of water or bone broth. You’ll enjoy it too – especially if you have trouble sleeping! Add it to a cup of warm milk and you’ll receive all of the same health benefits. If you haven’t heard of the amazing benefits of CBD oil for dogs and cats, you may have be living in a cave. CBD is everywhere right now. Cannabinoid oil is pretty incredible for a variety of reasons, but one of the reasons I love it most is its ability to reduce (even eliminate) joint pain in pets (and people). CBD oil for dogs is generally drawn from industrial hemp, which is unregulated (and thus, legal) in the United States. There is a lot to this incredible plant (and there are a few other things that you should know, which you can read here). In case you think it’s the same as “smoking a joint”, it’s not. 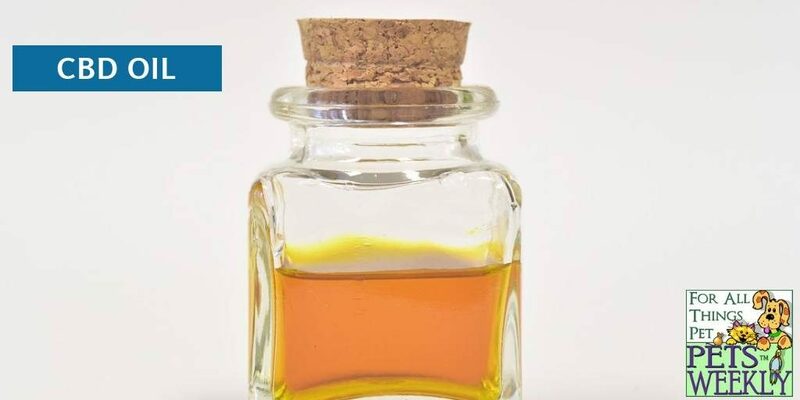 CBD oil that has been processed from hemp is very different than CBD oil processed from marijuana, which contains THC (the active ingredient in marijuana). But you need to be cautious about the products you choose to buy. Hemp is a plant that is unique – it is sometimes used to replenish the soil in cotton fields because it’s so amazing at drawing out toxins from the ground and water supply (a process called Phytoremediation). Be sure you seek out sources that have been grown organically since it can absorb things like insecticides. Always ask for a Certificate of Analysis when buying the oil and evaluate the quality control of the company, also ensuring they follow good manufacturing processes. A few companies we like and trust include: PetReleaf and Holistic Hound (check out their Wild Mushroom and CBD treats for dogs)! 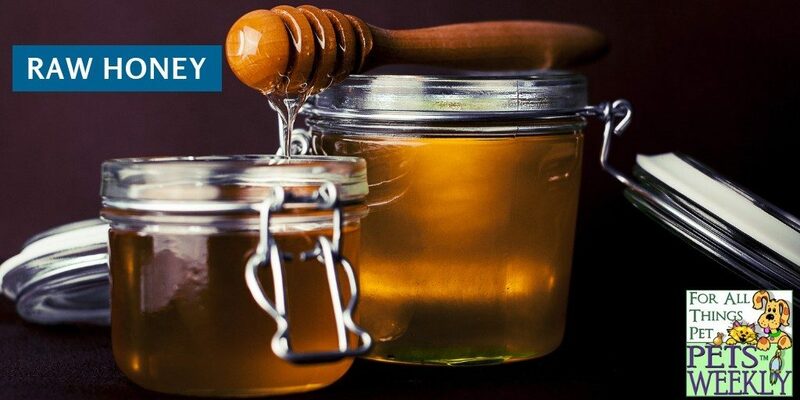 If you haven’t heard of the benefits of raw honey, it’s time to take a closer look. Not only can humans benefit from eating local raw honey, animals can receive many of the same benefits. Improve digestive function and reduce gastrointestinal upset. It can even help relieve minor ulcers! ¼ teaspoon per 20 lbs is plenty of honey for dogs to see benefits. If your dog has arthritis or stiffness, consider adding some CBD oil for dogs to help relieve pain. Learn more about raw honey for dogs here. Since cats don’t have the ability to taste “sweet” foods, they may not be inclined to eat raw honey. That’s perfectly okay! Magnesium Sulfate is something we keep right near our tub (not too near, because it dissolves in water). It’s the ideal way to detox your body, relax your muscles and ease joint pain. It can also be great for dogs. If you see your dogs chewing their paws, give them a soak. 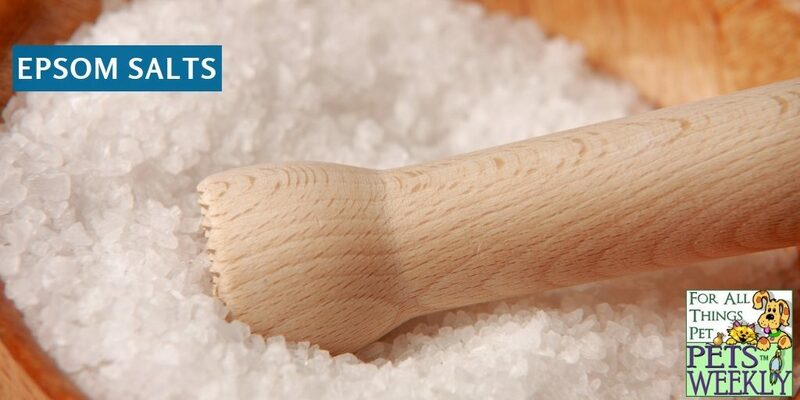 A few minutes of standing in epsom-salt rich water can help eliminate yeast. Just add 1/4 cup of epsom salts to your tub water and encourage your dog to stand in it. You’ll be amazed at the difference. For skin care, we especially love DERMagic’s Anti-Dandruff Salt Scrub, which combines Epsom salts and Dead Sea Salt with essential oils to help improve your pet’s skin and eliminate any yeast from between paws. Give it a try! Learn more about Epsom salt, Dead Sea Salts, Himalayan Salts, and Dendritic salts for you and your pets. 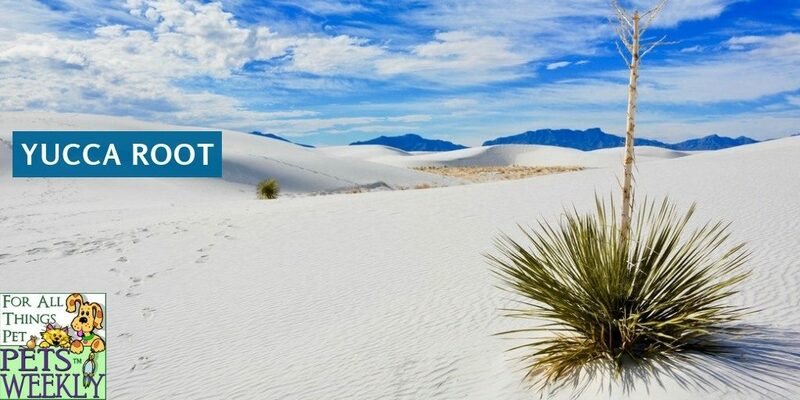 Yucca root is a desert plant that is near and dear to my heart. I’m a big fan of this succulent member of the lily family and have some growing in my own backyard. While I use it for It’s a wonderful way to improve skin, boost immunity, decrease inflammation in joints, and reduce cholesterol. Dogs can receive the same benefits and more. It’s often used to improve digestion and replenish nutrients he may otherwise not get. It’s even been known to reduce coprophagia (stool-eating). It can help reduce gas in pets and even help reduce pet odor in general. However, it can also be dangerous if not used at the right dosage. That’s why we recommend you work with a professional before starting your pet on this supplement, or purchase from a reputable manufacturer. One of our favorite supplements is the Joint Support Herbal Remedy from Animal Essentials. 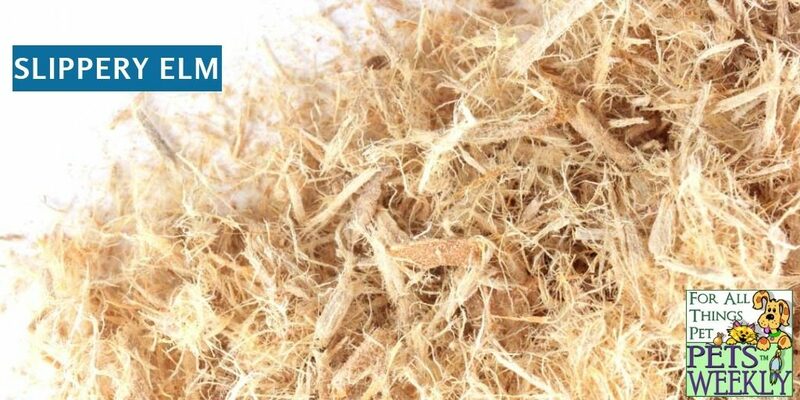 They combine the benefits of yucca with alfalfa to create an organic supplement that works. Cassava is a plant that’s closely related to Yucca, but which can cause the body to produce cyanide. When using as an anti-inflammatory and tonic for dogs with arthritis, use a liquid tincture product that has been specifically formulated for use in dogs. Follow the manufacturer’s recommendations or the advice of your holistic veterinarian. Rosemary is one of my personal favorite herbs. I use it for everything from cooking to soap-making in the house. I even grow it in the yard (it’s one of the few herbs that thrive in our hot desert climate). Rosemarol, an extract made from the leaves, helps to prevent oxidative and microbial-induced food spoilage and has been used as a natural preservative for years in pet foods. In pets, it has been used to help improve oxygen transport in the blood, strengthen heart function, and even reduce arrhythmias. Some holistic veterinarians believe that it can help fight cancer due its ability to reduce oxidative stress and inflammation. 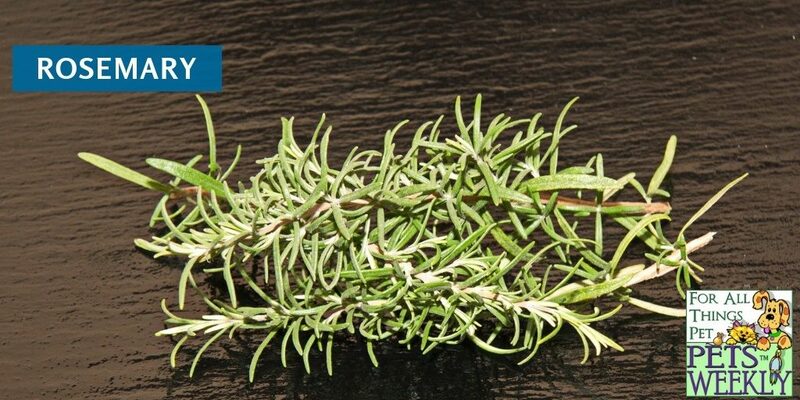 You can get Rosemary in many different forms – dried, as a tincture, as an essential oil, or even an extract. Whichever you choose, remember that it should never be applied “neat” (undiluted) to a pet. Add a few drops of a high quality essential oil to your pets bath water to help reduce itchiness, or diffuse to help disinfect rooms and reduce stress. It can even be used to help repel ticks and mosquitoes from your pets! Nettle is known as a “go-to” herb for many. Stinging Nettle tea helps soothe the stomach, reduce the effects of colds, even help heal bones (if you believe the old wives tales). It really is the “everything” remedy. It can also help dogs and cats. Nettle is rich in trace minerals, antioxidants (particularly chlorohpyll) and even histamines (which can help reduce allergic response). Stinging nettle root can also be used to treat joint ailments, as an astringent, and even as a diuretic. The “above ground” parts (the leaves and stem) are commonly used to treat urinary tract infections, kidney stones and more. 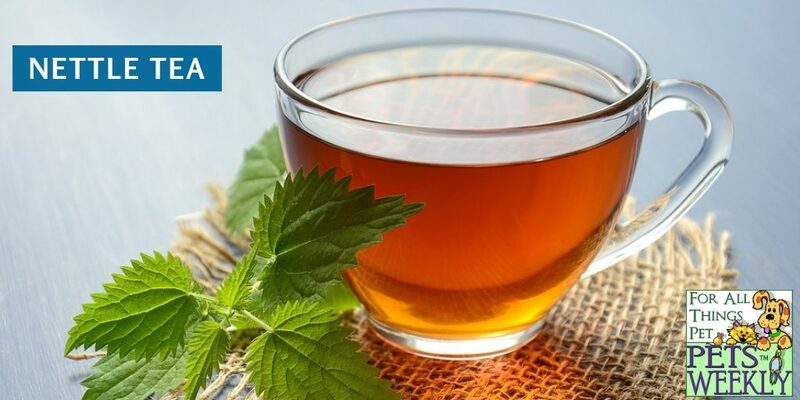 It can be used as a cooled tea to soothe skin conditions and can help reduce the time you suffer from a cold or respiratory condition. The most common way to give it to your pets is as a very weak tea or an herbal tincture. Don’t use too much nettle – we recommend you pick it up this tincture from Animal’s Apawthecary. Remember that you should always check with your veterinarian before starting your pets on any type of new supplement (whether it’s manufacturers or natural). Natural remedies are powerful and you risk causing serious damage to your pets if you aren’t properly trained.